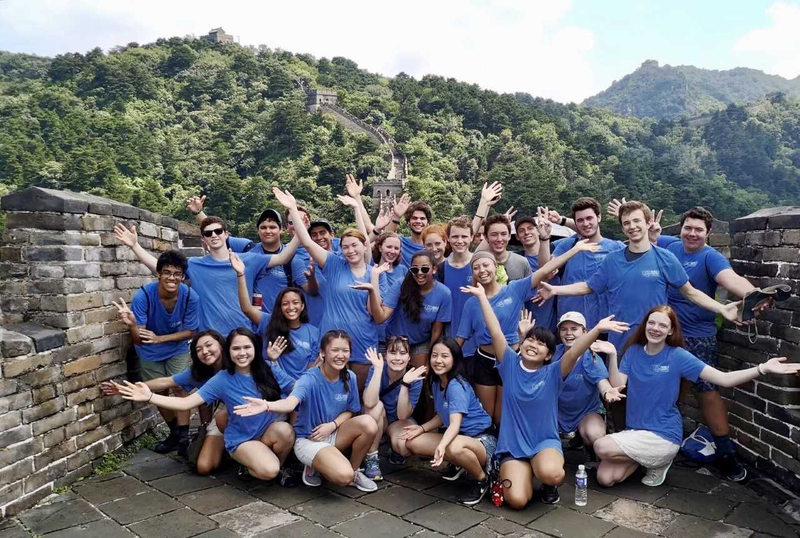 On Aug. 9-12, the UDNSLIY students had a cultural trip to Beijing to visit the Great Wall, the Forbidden City Palace. 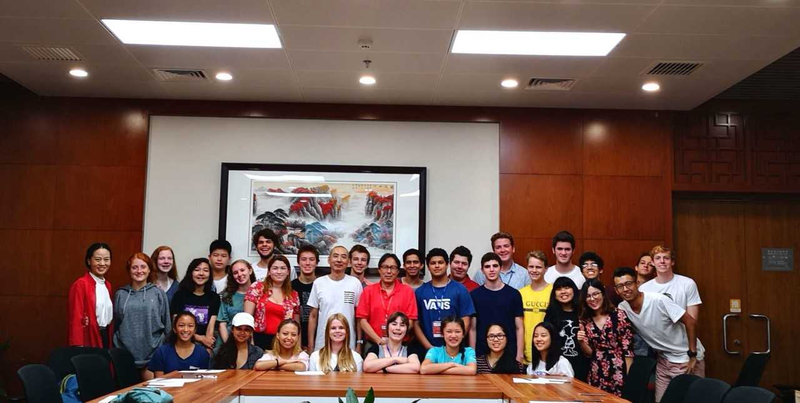 They also watched a Peking Opera performance and visited a local neighborhood, in addition to other cultural exploration activities. In doing so, the students had a better understanding of Chinese culture. UDNSLIY students on the Great Wall. In front of the Bird Nest, the 2008 Beijing Olympic site. One of the UDNSLIY objectives is for its student participants to get to know about Chinese popular culture. 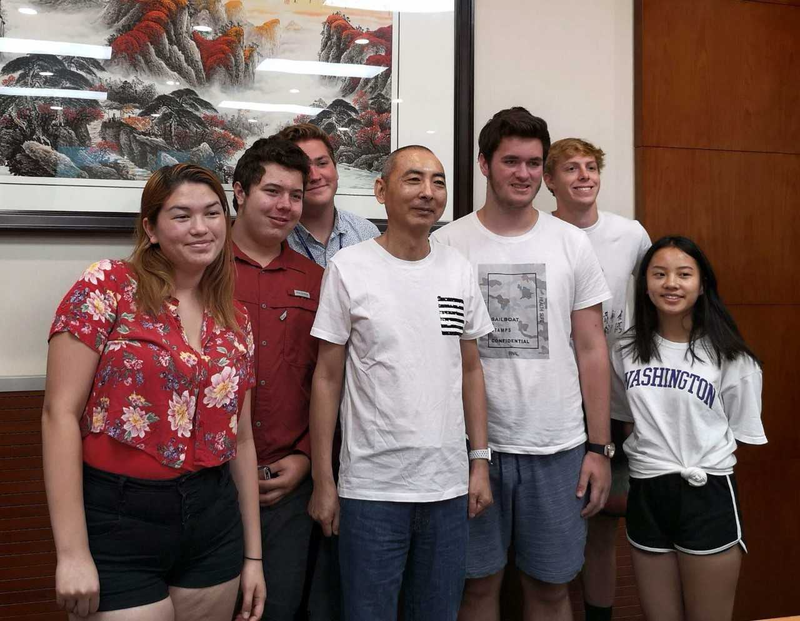 On Aug. 12 we organized a special event by arranging for Mr. Wang Bin, one of the internationally and nationally renowned filmmaker, playwrighter, literary critic and novelists in China to discuss his films with the students. Mrs. Wang Bin, together with the famed film director Zhang Yimou, has produced such well-known films as “To Live,” “Judou,” “Raise the Red Lantern,” “Not One Less,” “Hero,” “Fearless.” After the film screening of “Fearless,” the UDNSLIY students had a lively discussion with Mr. Wang Bin about his films, particularly “Fearless.” It was an enjoyable program for the students. 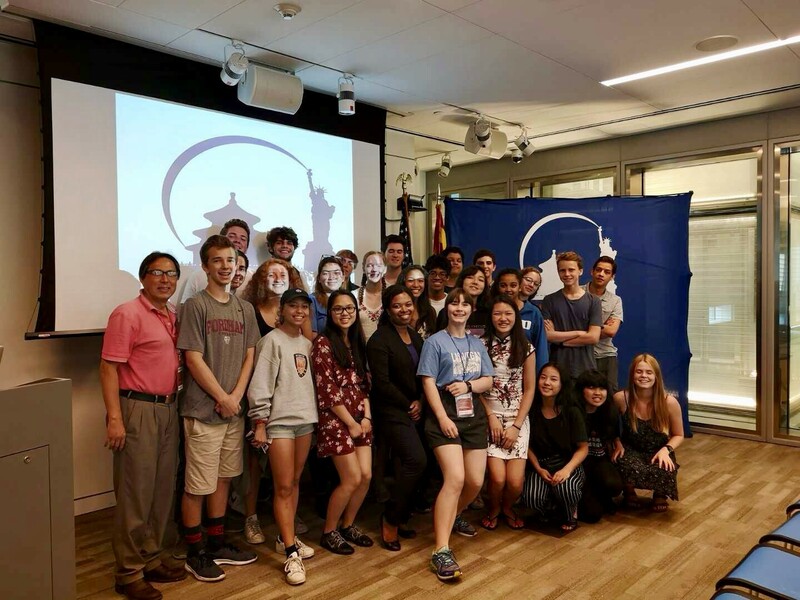 The UDNSLIY students enjoyed the briefing and some of them expressed interest in developing a future career in foreign service. They realized the importance of mastering a foreign language, which in their case, is Chinese. 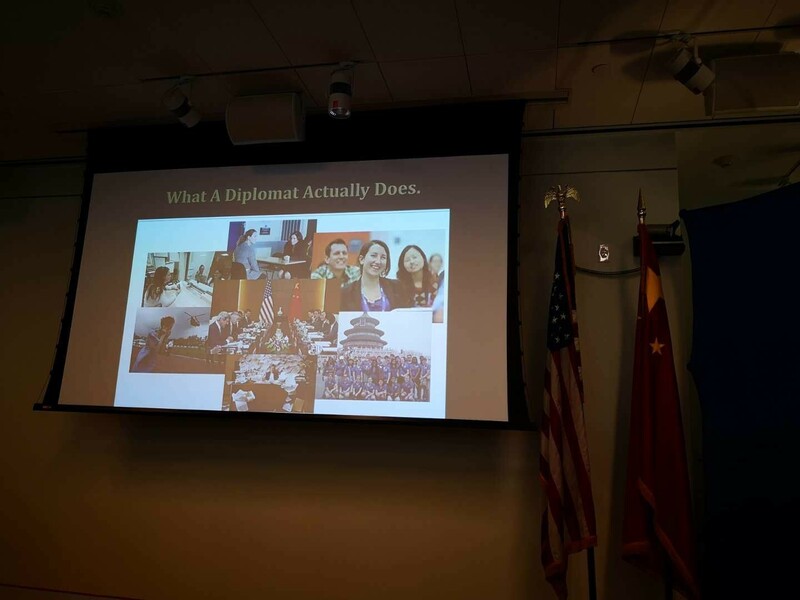 The briefing obviously had an impact on their motivation to continue to study Chinese beyond the program.